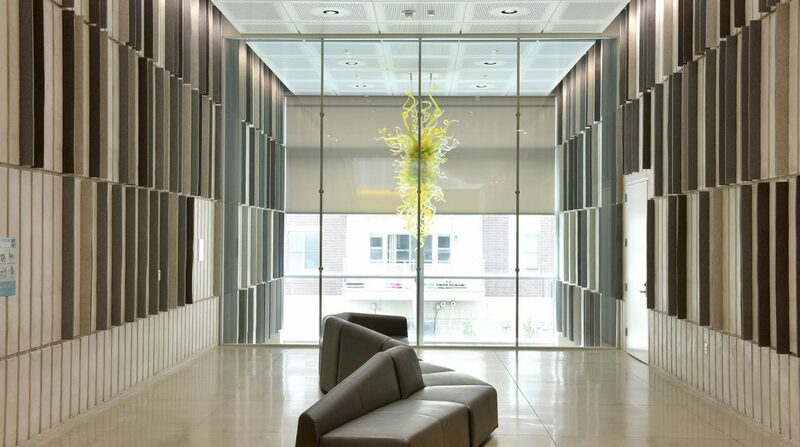 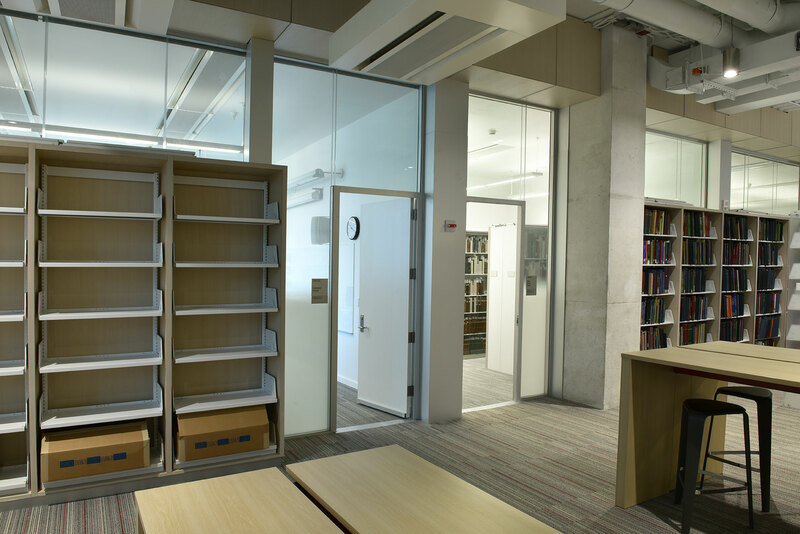 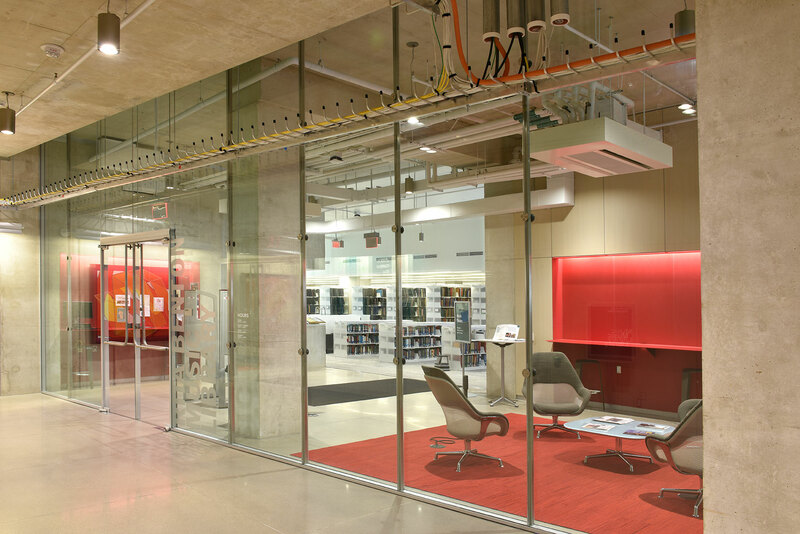 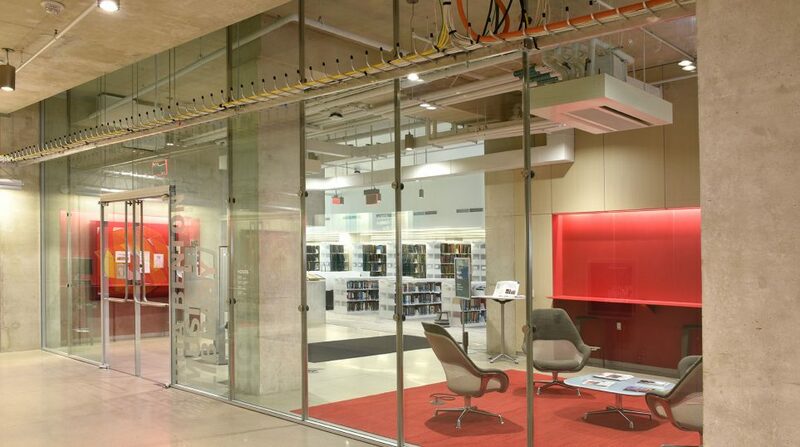 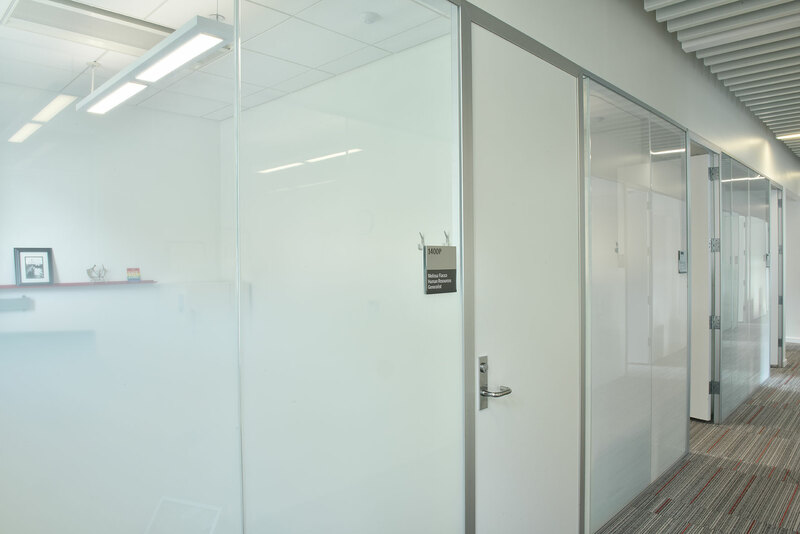 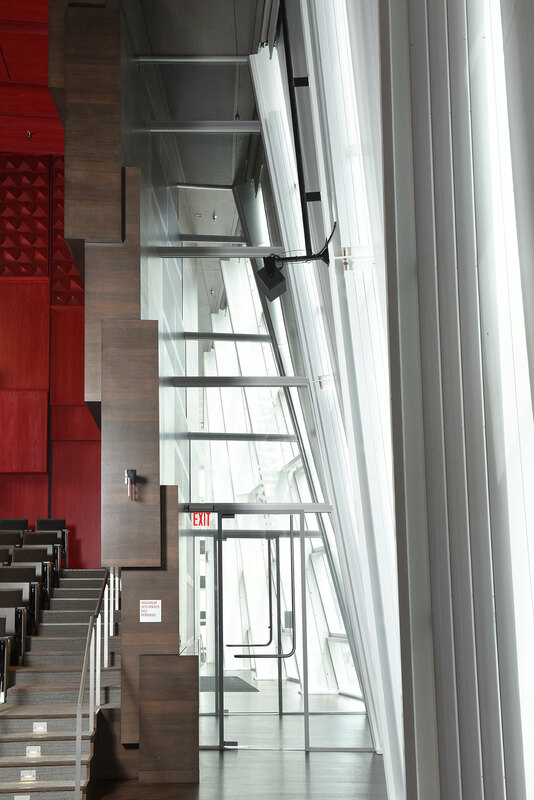 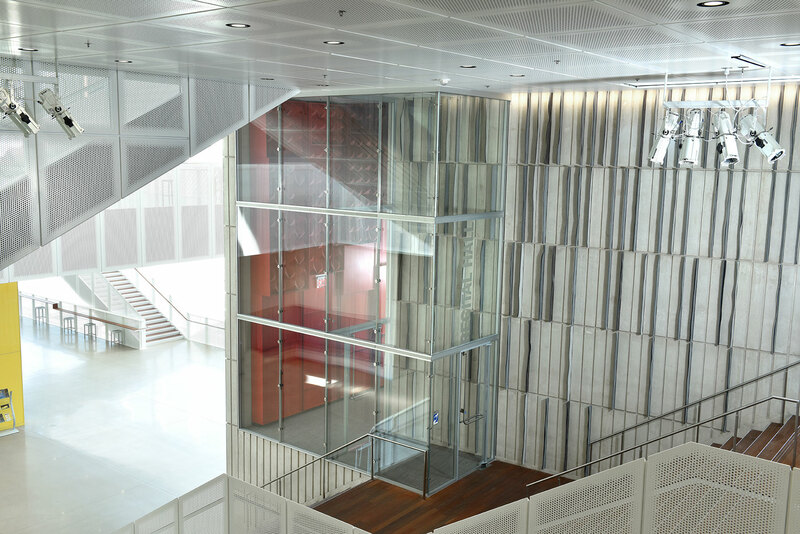 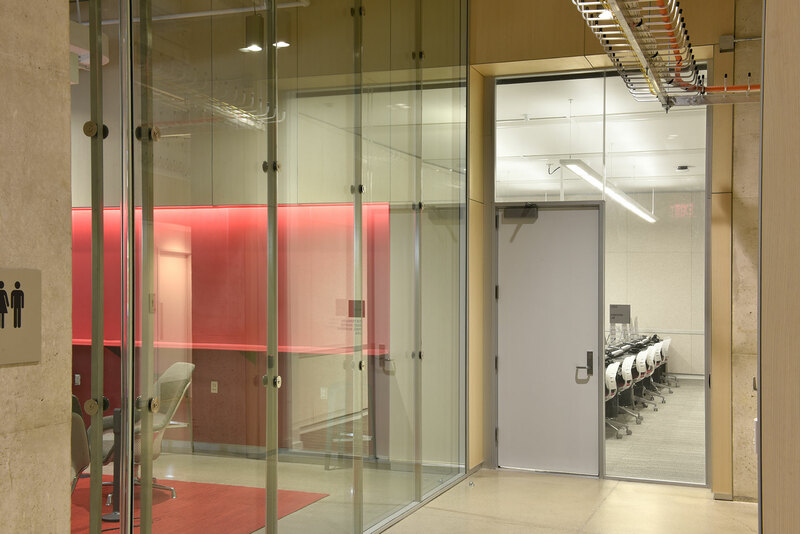 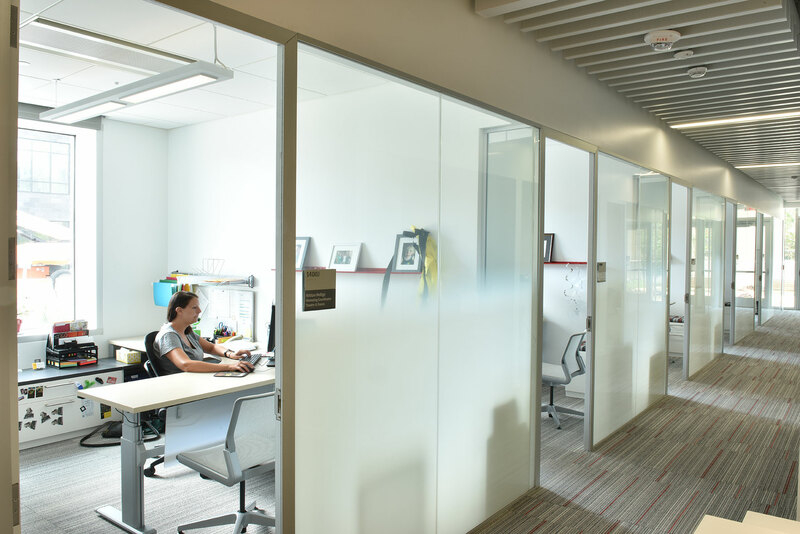 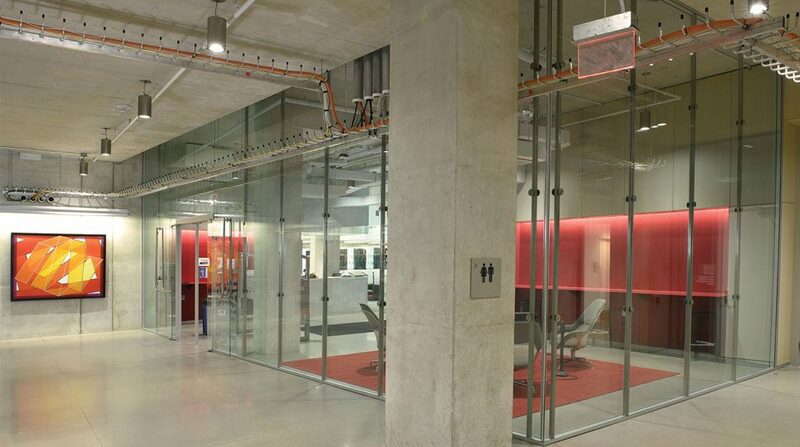 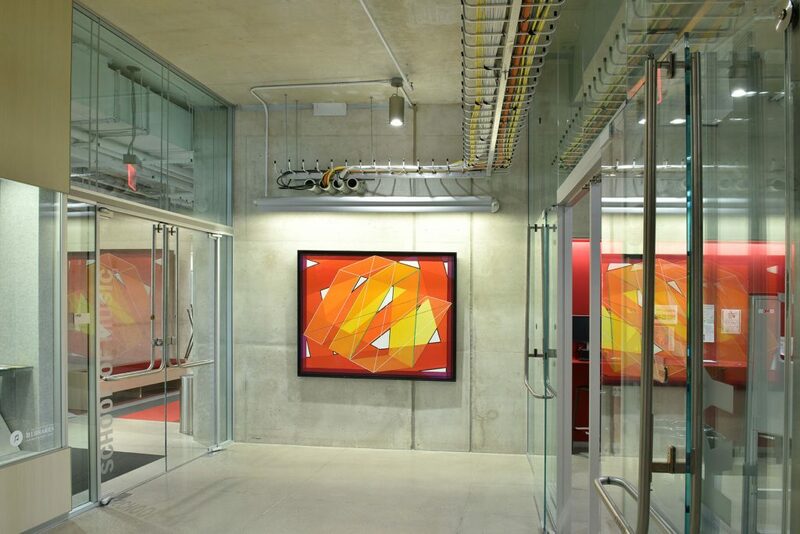 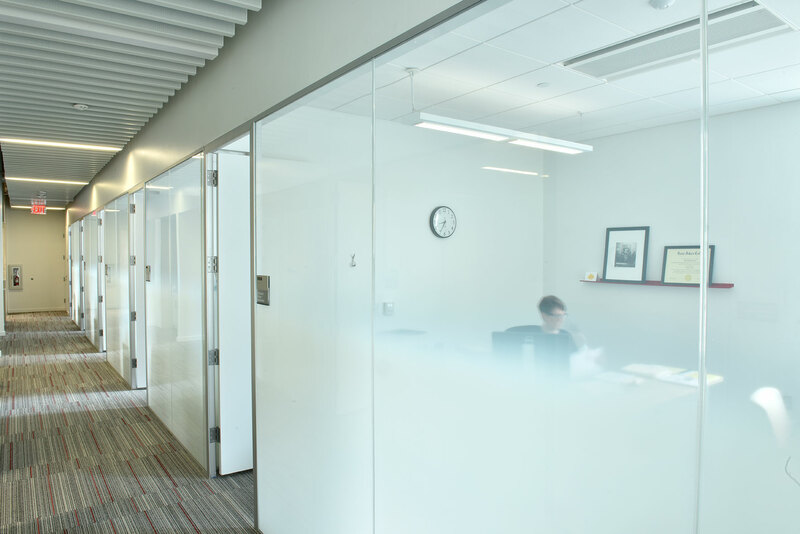 The University of Iowa School of Music incorporates multiple Avanti partition systems. 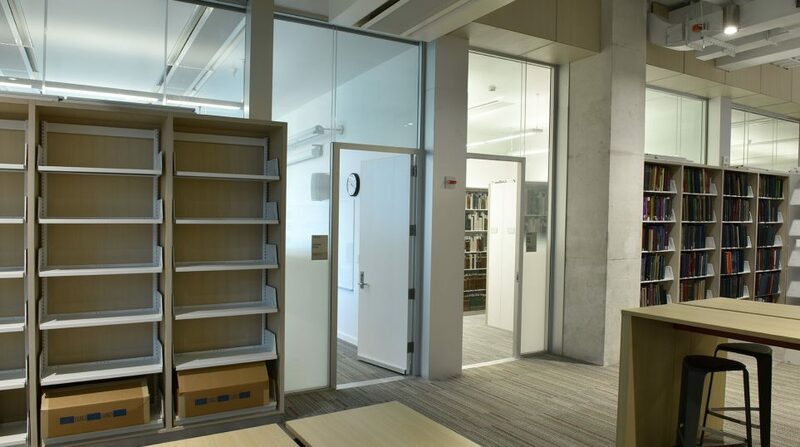 The Solare™ Single Glazed Partition System with Timber doors is used in the Office Suites. 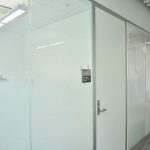 Glazing for the offices is 3/8” thick and is white, frosted, opaque gradually changing to clear. 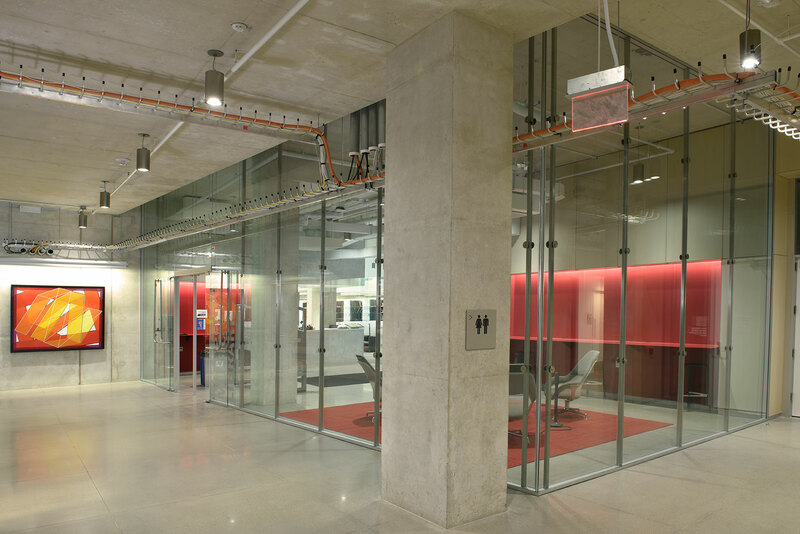 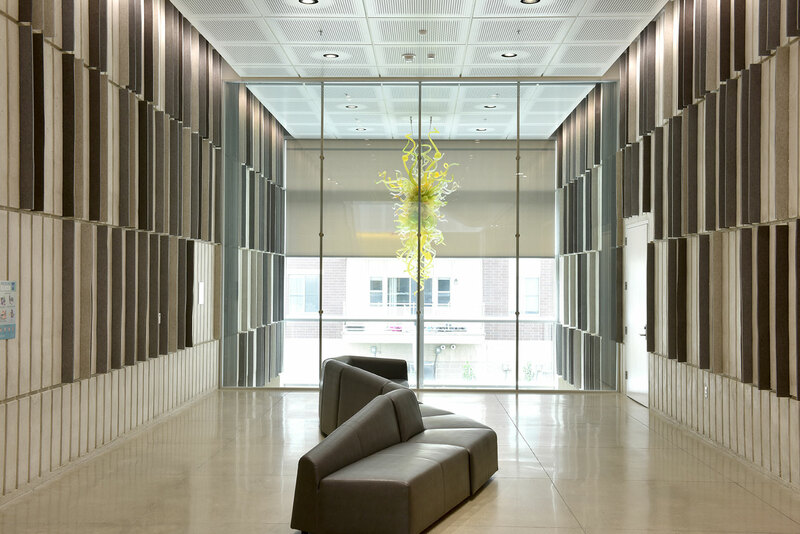 The Reception Area uses the Solare™ Double Glazed Partition System (1/2” glazing thickness for at both panes) and a Single Glazed Door with Ladder Pull Hardware (glazing for doors 1/2″). 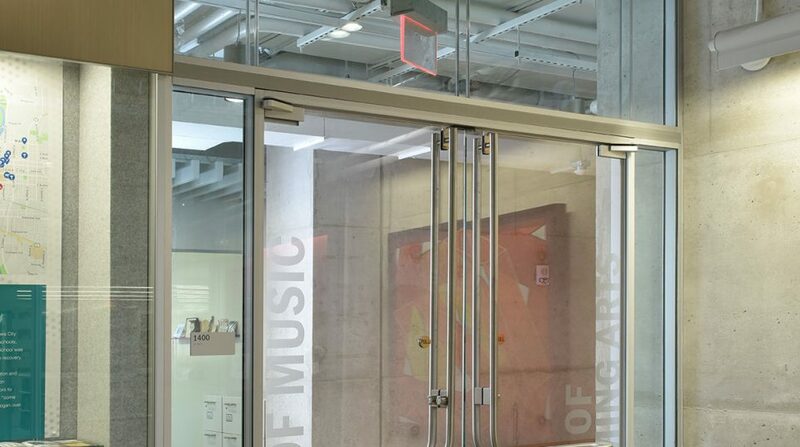 Due to the height of the transom above the Reception Area doors, horizontal structural steel support was included in the design. 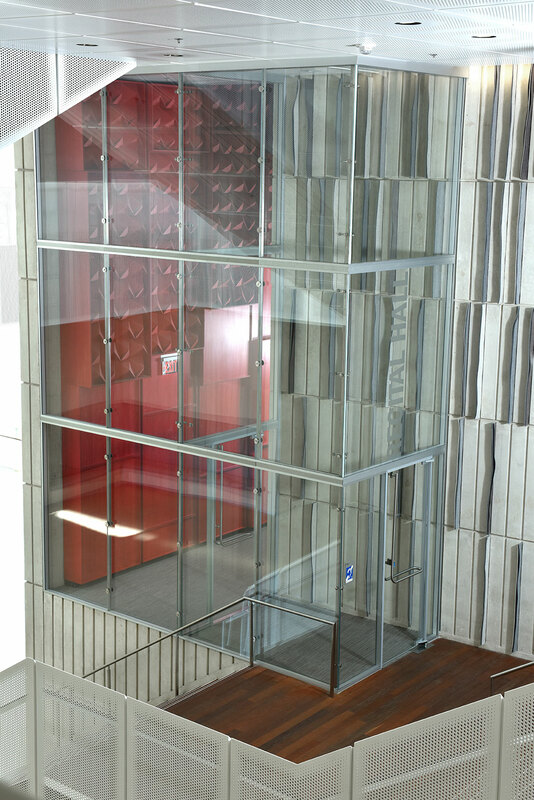 Horizontal structural steel support is also installed at the Recital Hall and Sound Lock transoms. 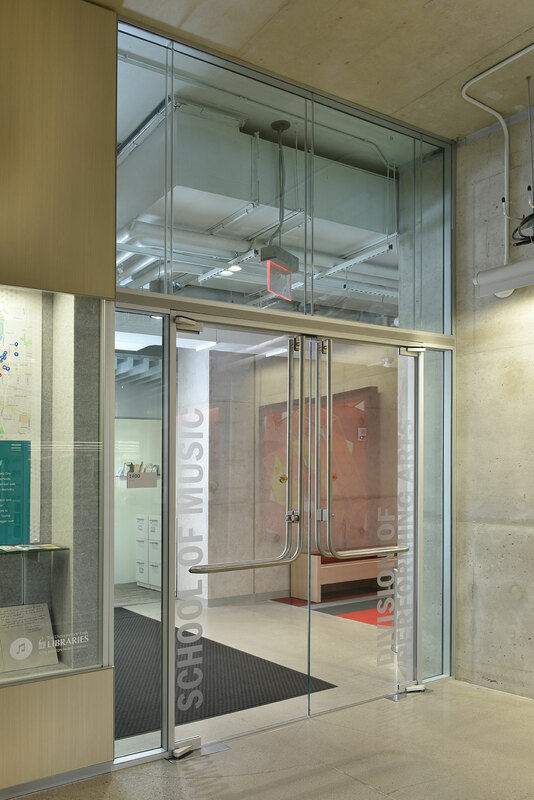 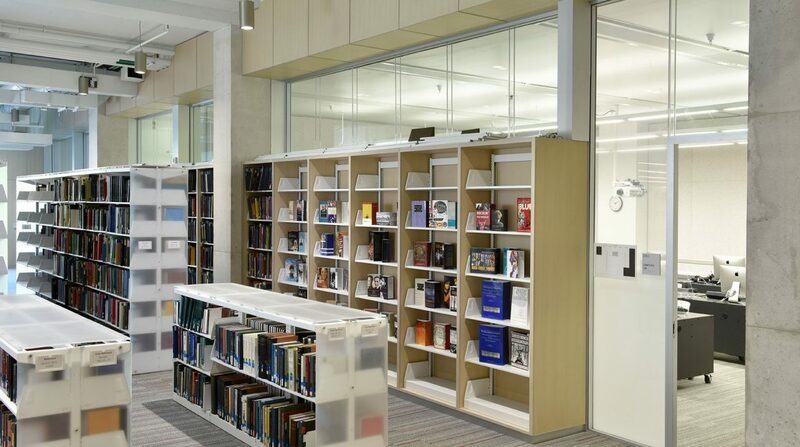 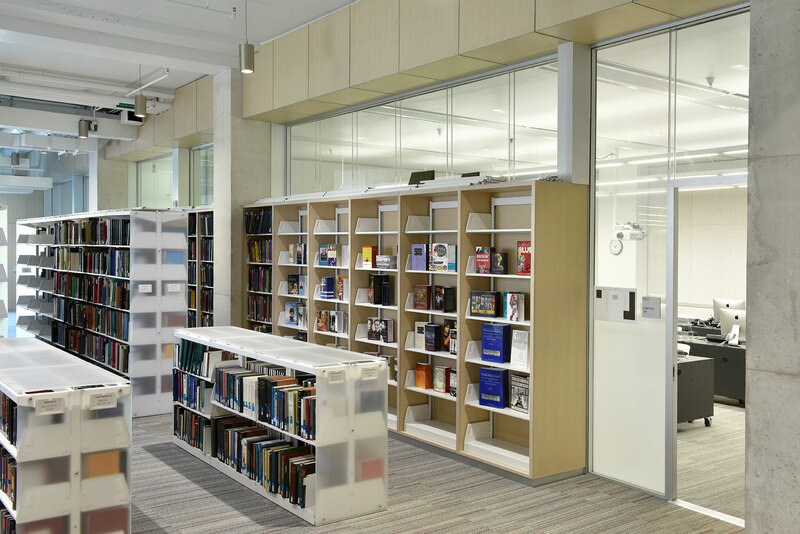 Due to the immense height of the Music Library and Rehearsal Concourse glazing, the Elevare™ Stacking Double Glazed High Wall System works perfectly for these situations. The Aluminum Framework was finished with the RAL 9006 Metallic Silver Powder Coating, while the Door Fittings and hardware had a brushed stainless steel finish.